Hope the spring/summer weather is treating you well. We are enjoying some beautiful, though humid weather here in the south of U.S. After a brisk walk around the block and some 'tread milling' in the gym I am feeling quite good. Apparently, I had a roaring hunger when I got back home. Grabbing a couple of ingredients I made some pan cake for myself. Growing up, my mother made this once in a while. It's one of those lazy day breakfasts that can be put together in a jiffy. Load with butter and coconut I love it but now resort to a little healthier version. They are not a fancy fare unless your taste is an earthy, old fashioned one. I find the uneven curly 'ada' quite to my taste in looks and taste. Hoping you will enjoy it too here is today's recipe. 5. Ladle half of the batter into the tawa and spread using your fingers. 7. Cook on both sides till a lightly browned. Looks superb n perfect...You r rocking...! Wonderful click too. You are most welcome to my blog. What a lovely treat to have this after a long walk girl, looks absolutely delicious. Lovely pics and looks yumm too! Again rocking click. Love it. Nice recipe. I love pancakes. Very good clicks, Sunitha ! We do same way but soaked the whole wheat and grind the wheat,coconut and banana together. I think last time i had this i must have been 19 or so, I have not had them after that , this bring slot lof good old memeried and ada looks perfect. one of my Fav...ithavana vacationu poyappo kure kayichu...yummy yumm.. 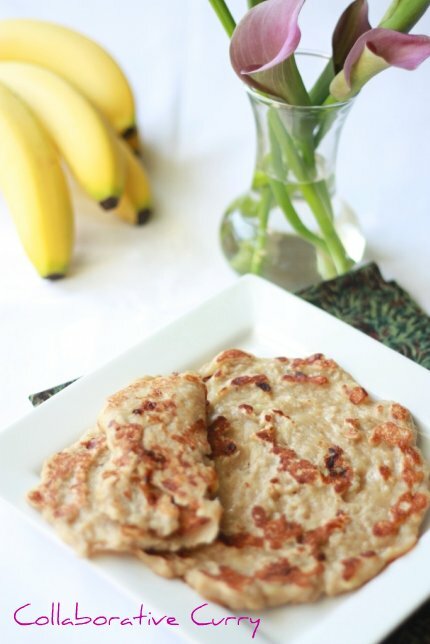 Awesome banana pancakes...nxt time i m going to try this version as my son luvs pancakes. Yummy pancakes. I use a similar batter to make appam in ebelskiver pan. Very nice, simple and interesting recipe. Pancakes looks yummy, fantastic and perfect. We do make pancakes sometimes with WF and banana with golden Palm sugar! I couldn't resist but making this today itself . We just had this for our evening snack today and it was such a wonderful healthy treat!! Thanks a lot! Adipoli gothamb ada! Kazhichittu kure naalayi..Thanks for sharing this..Will give it a try soon..
Never had this adda - but i never been so fond any banana flavor. perfect and delicious pancakes...simple yet satisfying...yummy! different kind of pancake... worth trying! Gothambu ada adipoli, yummy. Miss my mom now. These pancakes must taste really good with the coconut milk in it. Tats soo pur-fect for a breaky...quick n healthy...wat else u can ask for. This looks so delicious. I am trying to eat healthier and this is just what I have been looking for. Thanks for sharing! Looks healthy and filling. Perfect for a quickie breakfast! Thank you everyone for letting me know you enjoyed even this simple recipe. It makes me quite happy cos I love them. Like most of you said these do bring back old memories of holidays spent at grand-mom's. This is easy and healthy ! Looks delicious too..
this look simple and yummy, very similar to a cake that my mom prepared when i was a kid, I must ask my mom how to do it. 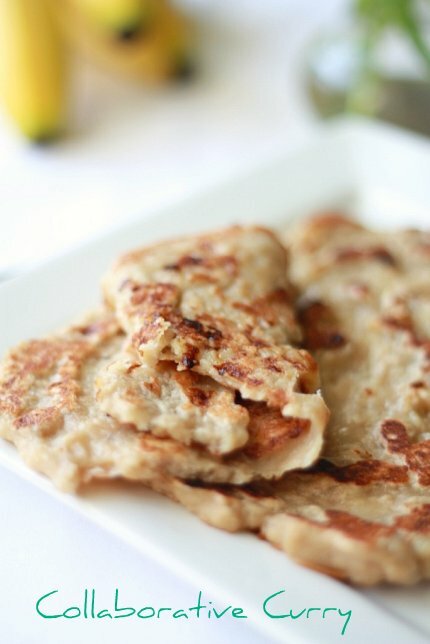 my grandma use to make these ..... love the sweet pancakes :)Gr8 clicks! Lovely pancakes and presentation. I just made banana pie yesterday. Gorgeous pancakes! This should give the american pancake makers a run for their money! yummy pancakes and lovely picture. Lovely pancakes perfect for brunch. wonderful breakfast item. nice clicks too as usual. U gals are doing a great job.